Yesterday, an icon became ashes and dust. 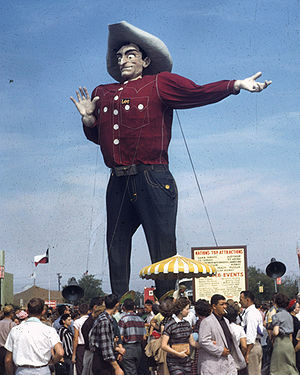 Big Tex, the gigantic cowboy who loomed over sixty Texas State Fairs, burned to the ground on Friday morning. Sure they have. I mean, they just would, wouldn’t they! It’s a damn good job beech trees don’t grown in Texas, then! Yeah. They’d grow `em if they could.